The 1980s are in style, again. From the prominent and multi-layered synthesizers, to the punchy electronic drum sounds, today’s music listeners love the sounds that were common to popular music in the decade of decadence. On an album I recently produced for SIGNALS, I was tasked with nailing the 80s aesthetic, while maintaining the punch and presence common to modern mixes. 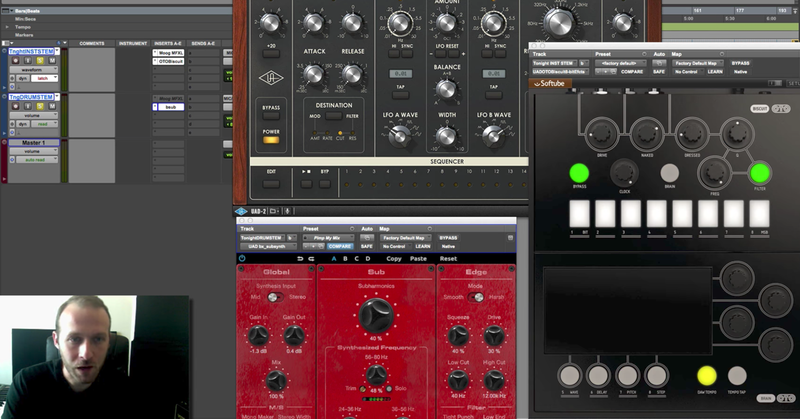 Here are some of the virtual instruments and plugin processors I used to do so, with insight as to how I used them. If you’re looking for plugin versions of vintage synthesizers, this is the most comprehensive and authentic collection of virtual instruments I’ve used. While the V Collection (now up to version 6) can absolutely be used on more modern-sounding productions, I’ve found it to be especially effective for creating music with a bit of a retro vibe. Arturia’s emulation of the Roland Jupiter 8 is stunning. The rich pads, the intuitive arpeggiator, and the ethereal leads — all the qualities that made the original one of the most widely used synthesizers of the 1980s are recreated to near-perfection. While the Yamaha CS-80 was released in 1976, it was used on many important recordings in the 80s — notably in Vangelis’ score for Blade Runner. The expressive, evolving pads of the Arturia CS-80 V are featured prominently on many of the 80s-inspired productions that I’ve worked on recently. The original Yamaha DX7 brought the glassy, bright tones of FM synthesis to the mainstream, used in productions by A-ha, Whitney Houston, and many more. While those sounds (especially the piano) eventually became overused and dated, if that’s the aesthetic you’re going for, look no further than Arturia’s emulation. Several other components to the V Collection — including the Fairlight CMI and Synclavier are excellent choices when hoping to recreate the textures and tones of synthesizers from the 1980s. Not only do they sound great, but they also play wonderfully, especially when combined with any of the Arturia Keylab controllers, which I was able to check out at the recent NAMM show. I approach building my synth arrangements as if I were piecing together a frequency-based puzzle. Especially on productions that have five or more layers of synthesizers, each of which may be playing differing parts, I take special care in making sure that not too much is happening at any one area of the frequency spectrum. Between the onboard controls that allow you to sculpt the tonal balance of the instruments, and additional processing such as filtering and equalization, it’s essential to ensure that synthesizers play nice with one another. I employ the “mix as I go approach” and handle this task as I play the different parts, and find that this method allows me to stay creative and continue adding layers. 80s Drummer includes two drum kits, both of which were pristinely recorded at the legendary Abbey Road Studios. Worth mentioning are the Octobans — a set of toms that were used extensively in the 1980s. One of the most recognizable qualities to the sound of drums in the decade was the extensive (excessive?) use of reverb, and specifically, gated reverb. With 80s Drummer’s Mixer Section, you can dial in the exact amount of non-linear room reverb that your production calls for. Important to me when programming drums that are meant to sound like an acoustic kit are that they feel right — the dynamics and playability are essential, and I can “finger drum” a convincing performance using 80s Drummer with ease. Similarly to how I would typically handle drum room mics in a mix, I automate the gated reverb to breathe with the different parts of the song. Interestingly, I find myself using more gated drum reverb in verses, as to draw attention to it, as opposed to using more drum room in choruses, for the purpose of adding excitement. I find that excessive gated drum reverb in choruses can muddy a mix when not used correctly. This depends upon the arrangement, of course. 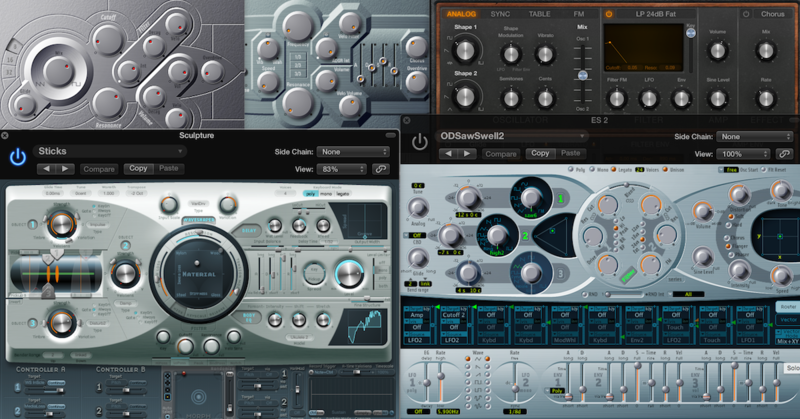 For when trying to emulate the sounds of popular drum machines of the 1980s, I will often reach for the Reel Machines AD Pack, which can be used within Addictive Drums 2 and Addictive Trigger. XLN Audio meticulously sampled the Oberheim DMX, Roland 808/909, Simmons Clap Trap/SDS-V, and my most beloved drum machine — the LinnDrum. Additionally, they incorporated vintage preamps and analog tape machines into the signal chain, and both room and plate reverbs. The result is a powerful sounding and extremely versatile weapon for nailing the synthesized drum tones from the 80s. Additionally, the Reel Machines user interface is beautiful and easy to use. Tune your LinnDrums super low for an “Instant Prince” sound. It’s easy to get burned out while hunting through gigantic sample libraries, so my policy now is if upon first listen, a sample library doesn’t strike me as instantly inspiring, it doesn’t belong in my collection. Thank you, Marie Kondo. That being said, That Sound Drums has made numerous sample packs that I’ve found to be indispensable. I’ve been using the 1985 sample pack since its release, and adore it for the size, impact and character. 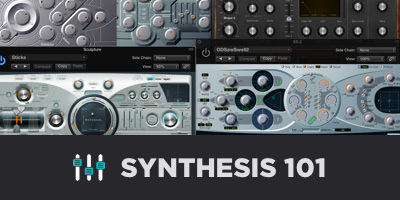 The pack comes with 1067 total samples and comes with separate dry, natural and two AMS reverb mix options. If I want to make my drums sound authentically 80s, I often reach for this pack. I often load a full kit from 1985 onto a MIDI track in Ableton Live and construct an entire drum performance, but these samples work great for drum augmentation and replacement as well. If your recorded drums need some 80s characteristics, the sounds in this pack are great for layering. The original hardware unit, which was introduced in 1982 was popularized by U2 guitarist, The Edge, who used it to create some of the most iconic guitar tones of the decade. 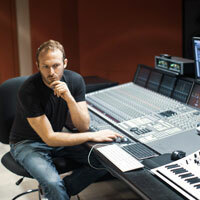 It works splendidly on plenty of other sources including synthesizers and vocals. I like using the attenuator section to drive the input, which gives a bit of grit and texture to a lead vocal delay. The modulation section makes the SDD-3000 a truly versatile plugin, allowing for a gentle chorus-ey delay when used subtly, or an out of this world warble when applied liberally. I usually start subtle, especially when trying to emulate The Edge’s tone. While Soundtoys Echoboy is arguably the most versatile, and greatest delay plugin ever, there’s something more authentically 80s about the sound and feel of the PrimalTap, which is an emulation of the legendary Lexicon Prime Time Delay. I often use the VCO (which was a feature on the original hardware unit) to add a subtle amount of modulation to the echoes. 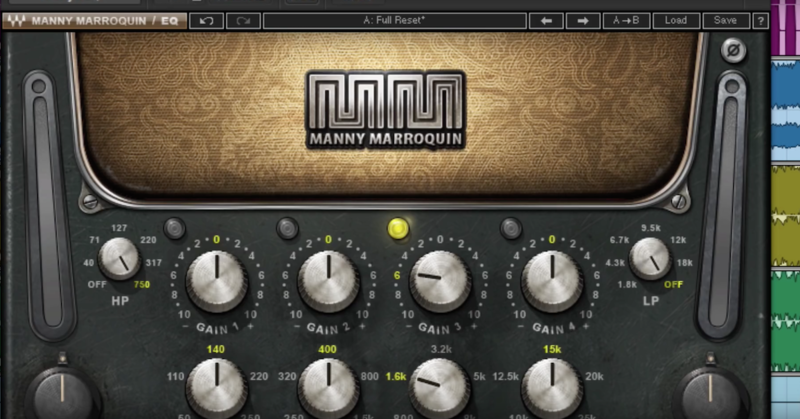 This feature is great for many-repeat guitar sounds, and for adding warble to synthesizer pads. Much like most of the other Soundtoys plugins, PrimalTap can be driven into a warm (or wild) saturation. The “Freeze” function doesn’t necessarily suggest the 80s but is a great tool for creating eerie drones. Essentially “Freeze” captures a sliver of audio and loops it. Combine this with the VCO for otherworldly sonic warping. Released in 1981 by Advanced Music Systems, this iconic hardware unit was used on countless records, and became an integral part of the abruptly decaying drum reverb sounds of the 80s. Fortunately, UAD has meticulously emulated the RMX16 so that we can achieve that famous sound, at a fraction of the cost. This thing is a monster on toms, on the first single from the upcoming Signals record, the rich, full low end of the RMX16 was an integral part of achieving the pounding drum sound. In addition to being a fantastic choice for a gated reverb, the RMX16 has some truly wonderful delay and chorus sounds, so make sure to experiment with them. Lexicon created some of the most iconic reverb units of all-time, many of which were used liberally on productions in the 80s. For when I’m looking for reverbs of the non-gated variety, I regularly reach for the PCM Native plugins. The seven reverb types included are Plate, Vintage Plate, Hall, Random Hall, Concert Hall, Room and Chamber — so whether I’m searching for dark, bright, lush or tight — I can find what I want in this bundle. Just because there isn’t a non-linear setting in the PCM bundle, don’t let that stop you from making one yourself. Apply a gate after an instance of one of the Lexicons (“Room” is a good starting point), try a fast attack and release and set the threshold appropriately. While not the most visually appealing or versatile plugin, if I’m trying to do the gated reverb thing in close to no time at all, I’ll reach for the AIR, which fortunately comes bundled with Pro Tools. It usually takes minimal tweaking to achieve the desired effect, and sounds great on drums, vocals, and any source that needs to be “appropriately dated”. The reverse function is highly usable, especially on vocals. For a haunting, unsettling vocal sound, I’ll often use it. The hardware unit was released in 1986, and if you search for images of recording studios in the 80s (and beyond) chances are you’ll see one perched at a place of prominence atop a console. This UAD emulation recreates the look, feel, and sonic versatility of the original, while allowing for multiple instances of this famous sounding processor to be used simultaneously. I love using the 480L to create a believable sense of space around elements. In addition to excelling at creating ambience and depth, the UAD 480L can handle multiple other effects including reverse, doubling, tremolo and chorus. If I’m feeling a bit uninspired with a synth pad, I’ll load an instance of the 480L and simply start playing around with sliders until something interesting happens. The vocoding effect, used on several big 80s Hits including Phil Collins’ “In the Air Tonight” essentially involves combining components of synthesis and speech. I generally choose to use vocoding as a “sweetening element” rather than to feature it prominently in the mix, but it certainly contributes a unique and beautiful texture. The UAD Softube Vocoder is jam-packed with features that allow one to sculpt the tone of the vocoded signal, resulting in the most authentic-sounding vocoder plugin I’ve ever used. I find that most vocoders tend to be a bit “unruly” in how they dynamically react to what you run through them, so I’ll often place heavy compression on a performance before sending them to the vocoder. The original unit (The Roland Dimension D) was introduced in 1979, and was used by many top producers of the following decade including Brian Eno. This UAD emulation is faithful to the original, and has more of a thickening, widening effect than the warbly sound that is typically associated with choruses. While I adore the Studio D on more obvious sources like guitar, synthesizers and vocals, I recently tried placing an instance of it directly after a reverb and was pleasantly surprised at how it added a certain lushness to the reverb, while doing something truly unique to the stereo field. While digital audio made leaps and bounds in the 80s, recordings from the decade still benefited from analog mojo. Debuting in 1976, the original ART-100 units were designed specifically for mixdown and mastering. The upgraded ATR-102 was released two years later and was widely used in mastering studios throughout the 80s and beyond. I used the UAD ATR-102 on the mix buss for all four tracks on the SIGNALS EP, as I find it adds a crisp, three-dimensional, high-fidelity sheen to program material, and a bit of pleasant harmonic saturation, reminiscent of the most detailed recordings of the 80s. While I typically use the ATR-102 for mix buss and mastering duties, the Tape Delay feature is fantastic, and I employ it often on lead vocals and staccato rhythm guitars. The wow and flutter controls are also a lot of fun if you’re going for a degraded sound. 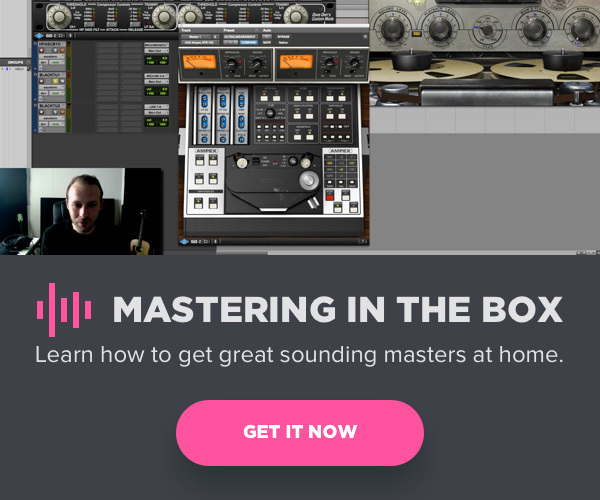 Learn how to craft great sounding pop mixes, starting with unpacking the producer’s rough mix and taking it all the way to polished professional-sounding record. Learn tips, tricks and techniques for getting lush vocals, hard-hitting drums, exciting effects, huge synths, competitive loudness and more — you’ll learn it all.